If there’s anything a farmer can be certain about, it’s uncertainty. From weather to market volatility to consumer trends, there is practically no end to the things that could go wrong. Rather than dwell on the uncertainties, most farmers I know push through, planning for the worst and praying for better. Planning can’t be limited to physical boundaries of the farm, though. While things like the weather are out of our control, many things that affect agriculture can be shaped by farmers and more importantly, agricultural advocates. 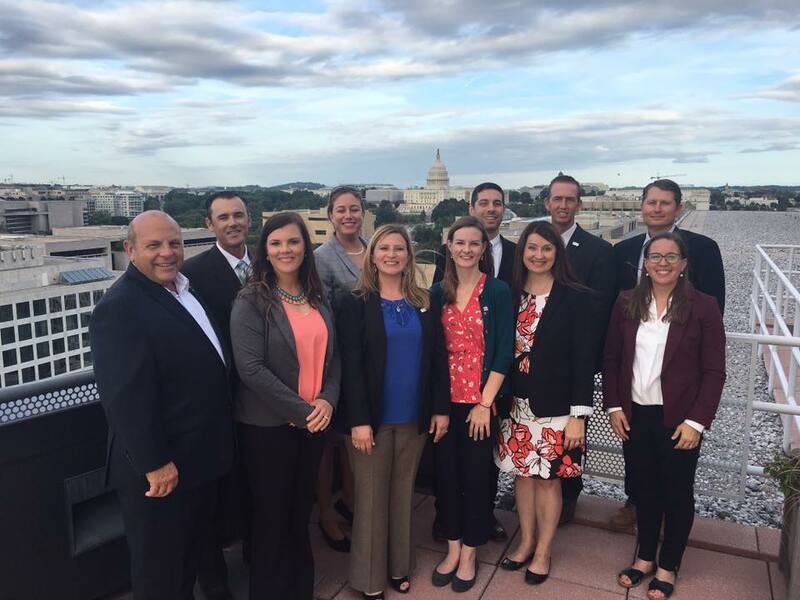 Last year, I was selected as one of ten farmers from across the United States to participate in the American Farm Bureau’s Partners in Advocacy Leadership program, better known as PAL. My classmates are farmers in Arizona, Kansas, Louisiana, Oregon, Tennessee, Texas, Utah, and Washington state. It has been a tremendous honor and humbling experience to be the first PAL from Maryland. 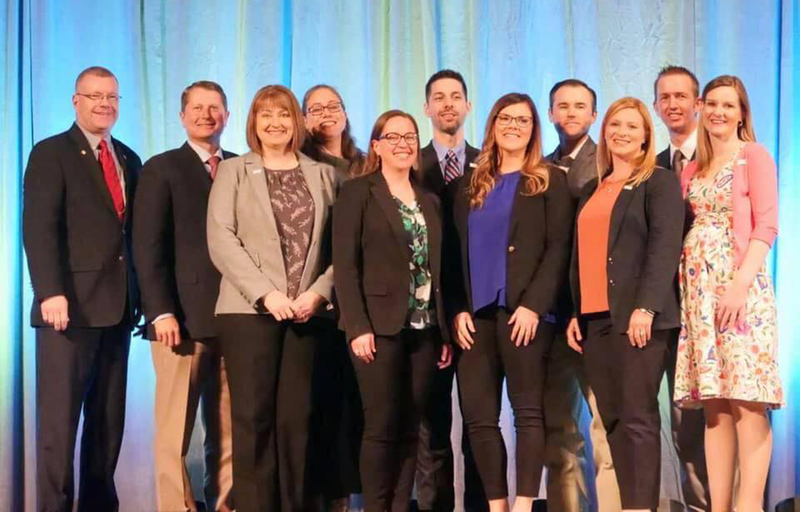 My role in this journey has not been to simply further my own advocacy plans, but to glean information that I can share with my fellow Maryland Farm Bureau members. The PAL program is broken up into four modules, each focused on a different aspect of communication and advocacy. 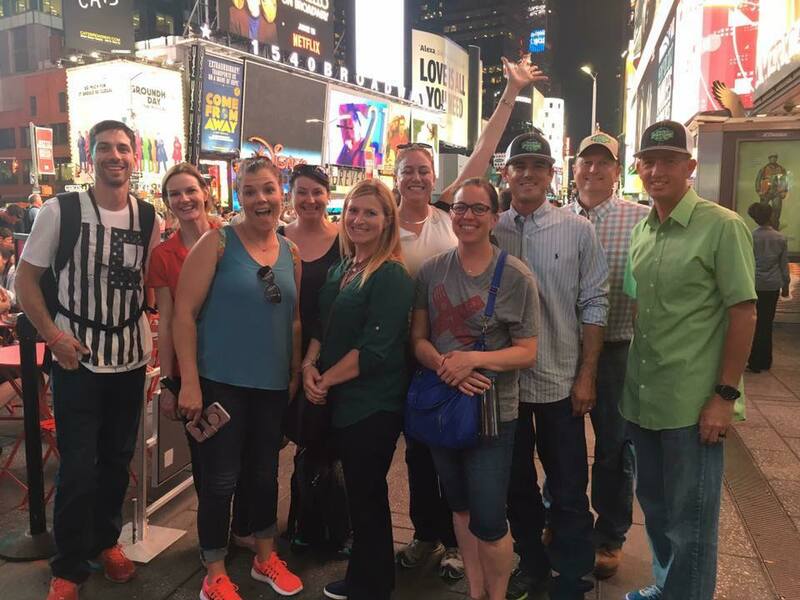 Our first module was in New York City and focused on media and consumer relations. New York City wasn’t so different for me being close to Washington D.C. and having a farm that deals directly with consumers. But, it was eye opening to see how the other members of my class reacted and dealt with things. The AFBF staff threw us in the fire right away with mock media interviews and candid critiques of our performance. We also evaluated our own strengths and learned how we can use those to our advantage. Personally, a highlight was meeting Jay Poole who was with Philip Morris during the tobacco lawsuits. That event redefined what agriculture looked like in Southern Maryland and is an important piece of my farm’s agricultural history. It was incredible to hear the perspective of “Big Tobacco,” how they handled being vilified in the media, and how the people who worked for the company behind the scenes managed to recover their sense of pride and reputations. Our second module was in Washington D.C., another familiar place for Maryland farmers. We are fortunate that our state is located so close to the nation’s capital and legislative leaders from around the country. With that comes responsibility. It is even more important that Maryland farmers understand and practice good advocacy. Many of us have neighbors, family members, and friends who work in D.C. and shape national policies. Our farms are close enough for any legislator to visit on a day trip. And people look to our farms to see how we are handling environmental regulations and best management practices. We are fortunate to have many leaders in national positions from our state, but we need more and we need to make sure we’re turning out more young leaders to follow in those footsteps. The PAL program includes an international study model and our class went to Europe. Our class has been concentrating on the new Farm Bill and the European trip gave us a unique perspective as the United Kingdom is rewriting its entire agricultural policy in preparation for Brexit. We had the chance to hear both sides of the story from the UK’s perspective and from that of the European Union. Brexit is imminent and even now, there are questions about what the new policies will look like. While we were in Europe, we had a chance to visit several farms. And like ours here, they were multi-generational and highly diversified. Farmers in Europe are embracing new technologies, creating new market opportunities and implementing best agricultural management practices. The last module was in St. Louis at Monsanto’s headquarters. We were among one of the last groups that toured the facility under the Monsanto name. 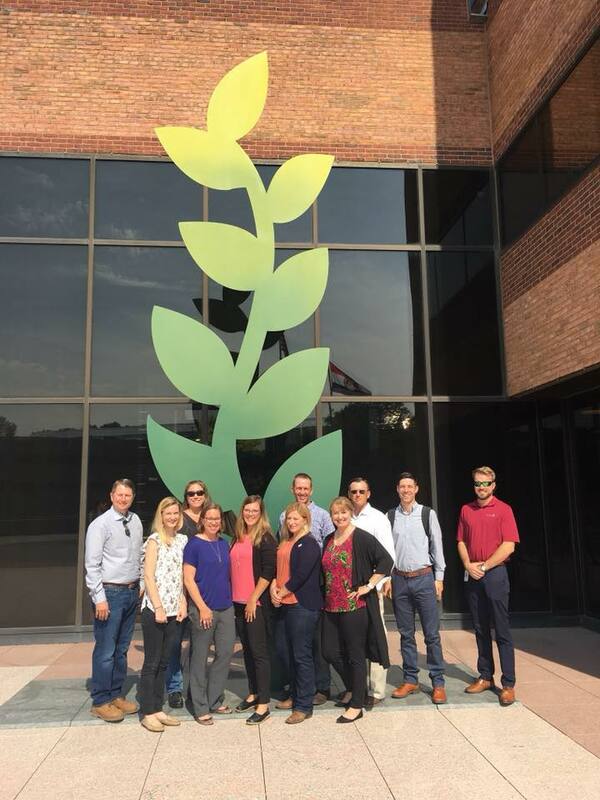 Two weeks after our visit, Bayer leadership took over, ending a lengthy merger process between the two corporate giants. As expected, the Monsanto facility was impressive and the research being conducted is both remarkable and meaningful. The St. Louis module centered on stakeholder engagement and the Monsanto headquarter was an ideal setting. Monsanto may not have been 100% successful in changing consumer opinion on genetically modified organisms, but it certainly wasn’t for lack of trying. The types of engagement and innovative communication strategies they have taken are useful models. In the end, the PAL program put a fine point on an important leadership skill: collaboration. There will always be uncertainty in agriculture. But it will persist through collaboration and innovation. The lesson I’ve learned over and over is that being able to listen with an open mind is one of the most important skills a leader can develop. For each PAL class, Maryland has the opportunity to put forth two candidates for consideration in the highly competitive application process. I would encourage anyone between the ages of 30 and 45 who is interested to contact Maryland Farm Bureau for more information. This was a tremendous opportunity and I thank the entire Maryland Farm Bureau Board and Staff for their support, as well as fellow Calvert County Farm Bureau board members and agricultural “pals” from across the state.